A ship bound for Qatar carrying thousands of live sheep has been stranded for a week at Australia’s Port Adelaide after it suffered engine failure, The Australian reports. The Kuwaiti-owned vessel, Al-Messilah, loaded some 67,000 sheep aboard on August 8 and set sail the following day, before being turned back due to the engine breakdown. Australian authorities announced today that the livestock would be off-loaded sometime in the next 48 hours, but concerns over their well-being has only added fuel to an animal welfare controversy in the country. Footage of animal cruelty involving cattle sent to Indonesia was broadcast on Australian TV last week, the newspaper reported. This week, the country’s parliament will be voting whether or not to ban the export of live animals from the country. 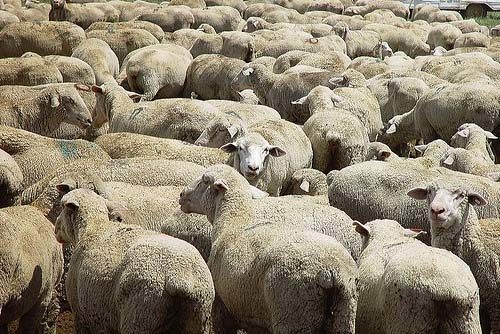 As for the Qatar-bound sheep, Australian authorities say it remains to be seen whether they will be loaded onto another ship or slaughtered for local consumption.